A few years back I found a bunch of "old" books by Bishop Sheen. It's been my experience that everything I read of his is either 1) Funny, 2) Profound, 3) Beautifully explained or 4) All of the above. And even now, several years later I still feel the same way. I have gone back to read the article I quote in my post over and over because it just keeps making good sense. That man was a fantastic writer and an even more fantastic thinker and I especially love it when he takes on "women's issues" and feminism. 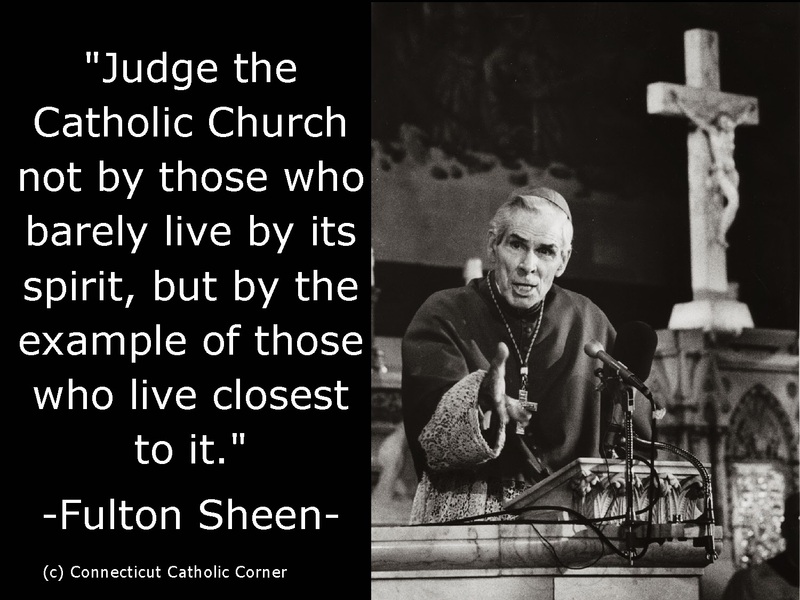 So check out Fulton J. Sheen when you get a minute - my post on women and careers, or even listen to a few of his television shows on you tube. You won't be sorry you did.